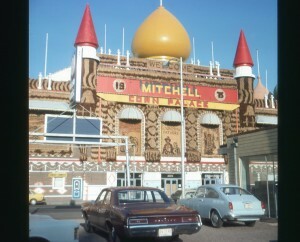 In Mitchell South Dakota, stands the Mitchell Corn Palace. When I first saw this build in 1997 or so, I was under the impression that it was actually built of corn like a Straw Bale house. Unfortunately the truth is a bit more mundane, and fantastic. The original “palace” was built in 1892 as the “Corn Belt Exposition” to encourage people to settle the area by showcasing the rich soil. 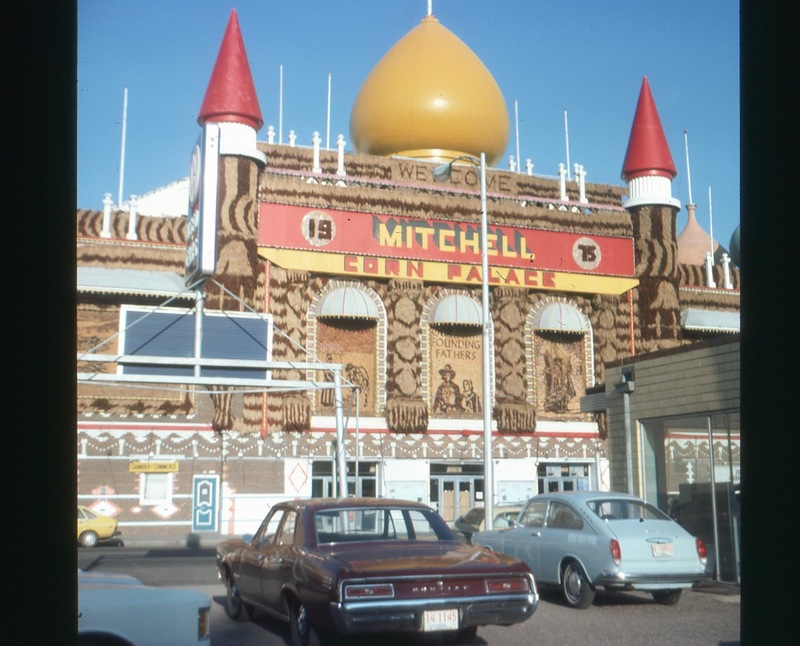 The building was rebuilt in 1905 as part of Mitchell’s attempt to become the capital of South Dakota, and then again at the present location in 1921 when the Onion Domes were added. The interesting part of the building is that the exterior is redone by a local artist every year at a cost of roughly $120,000. In 1975 the theme was apparently “Our Founding Fathers” referencing the Pilgrims. It would have been one of the last years that Oscar Howe designed the building.